Cloud Access Security Brokers (CASBs) are the hottest security technologies on the market. They provide organizations with much needed visibility and control over corporate data as it moves beyond the firewall via the public cloud. 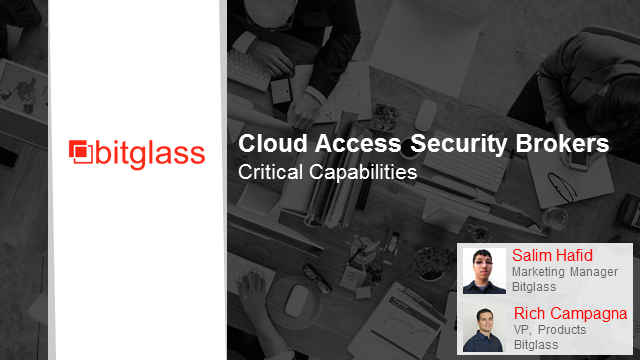 In this webinar, experts from Bitglass will dive into the architecture of CASBs and explain how the wide range of functionality offered by CASBs can enhance security of corporate data and we'll show real-world case studies of how leading organizations are deploying CASBs.